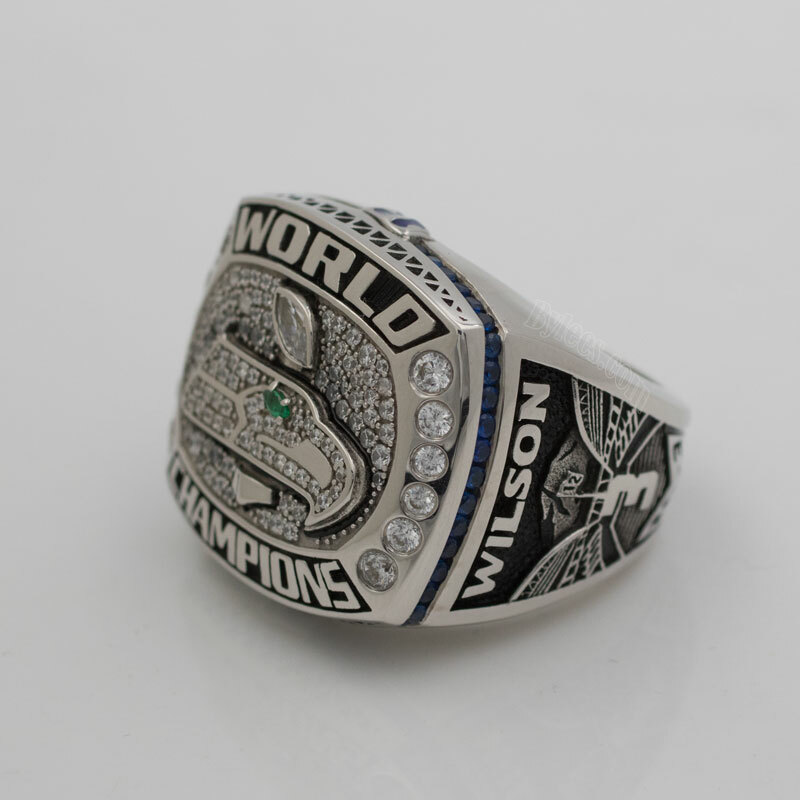 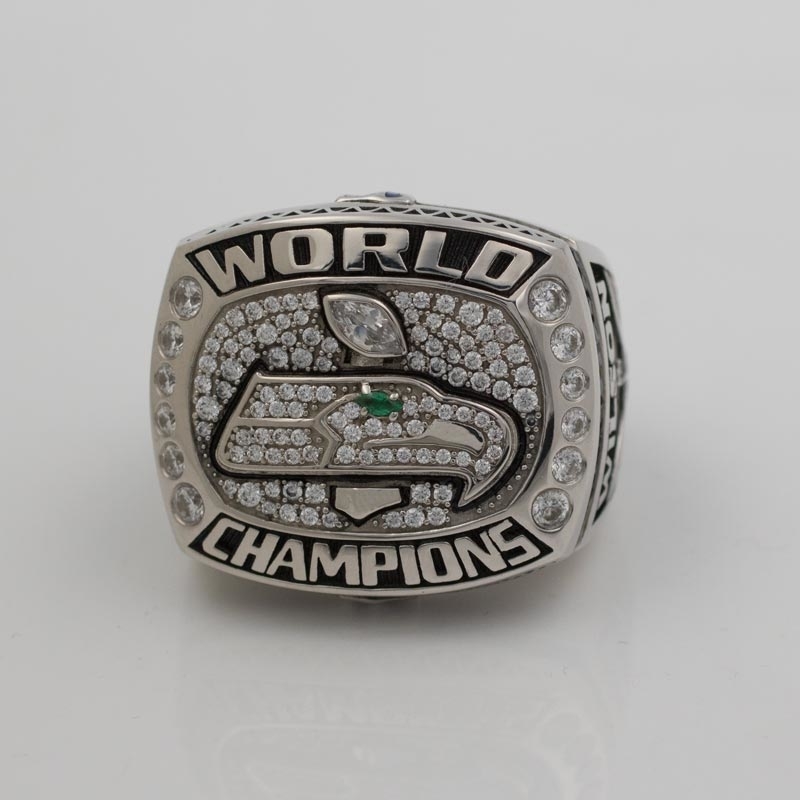 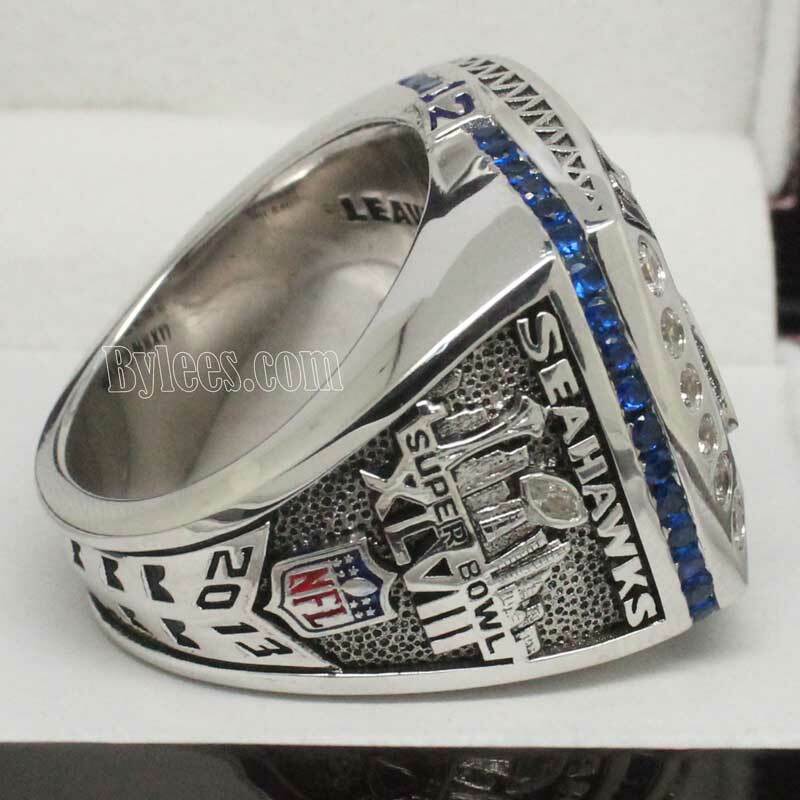 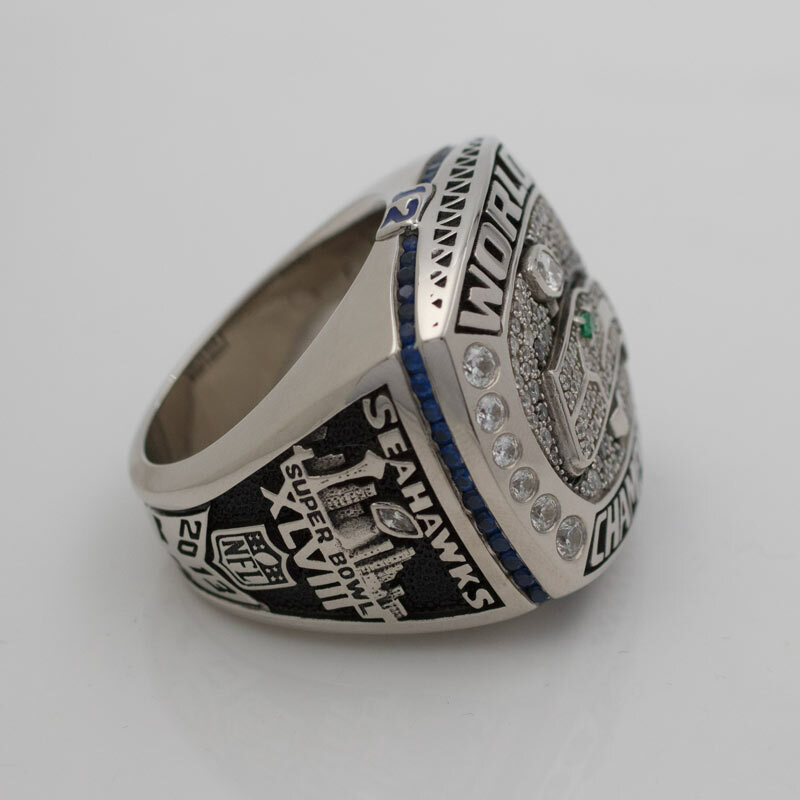 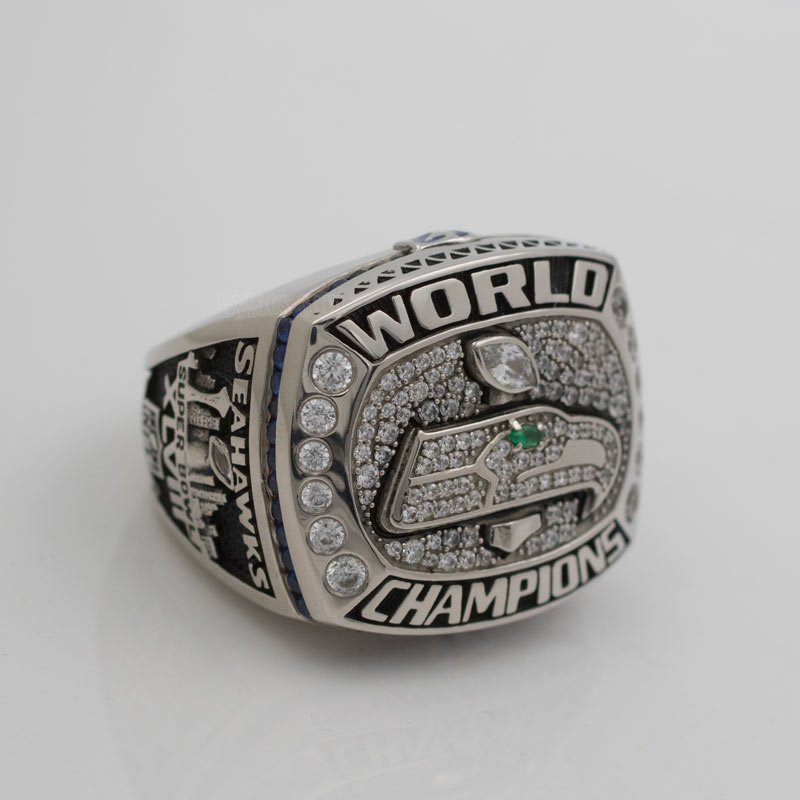 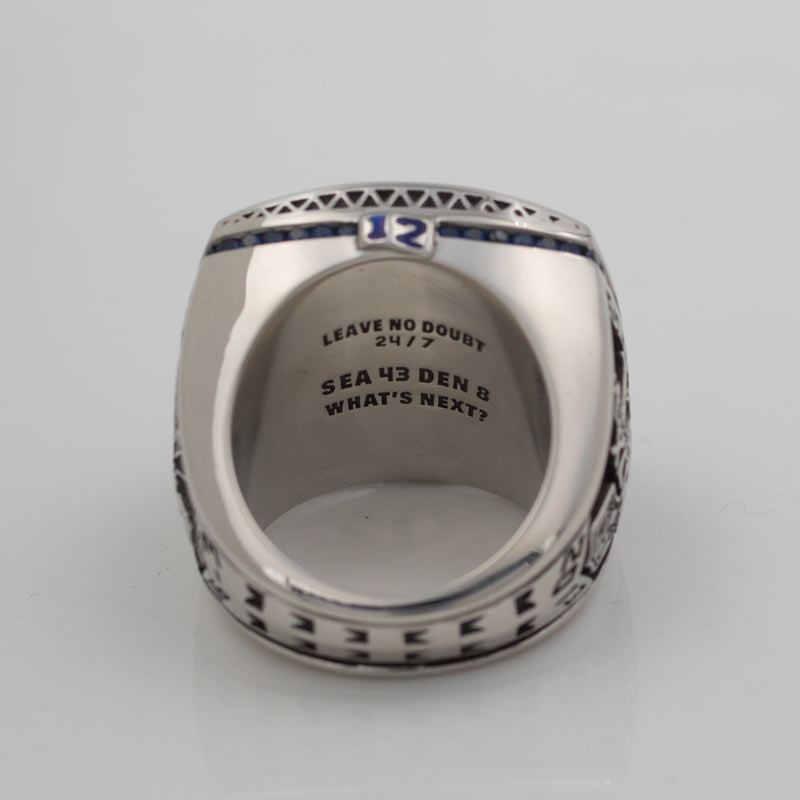 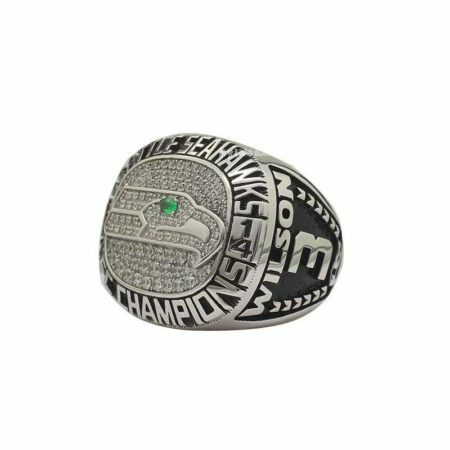 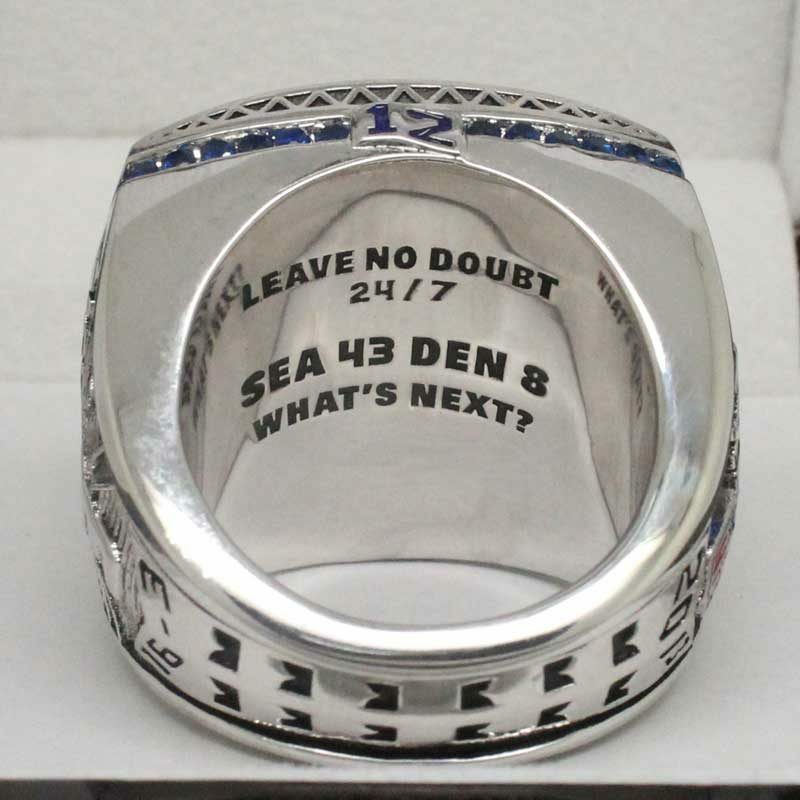 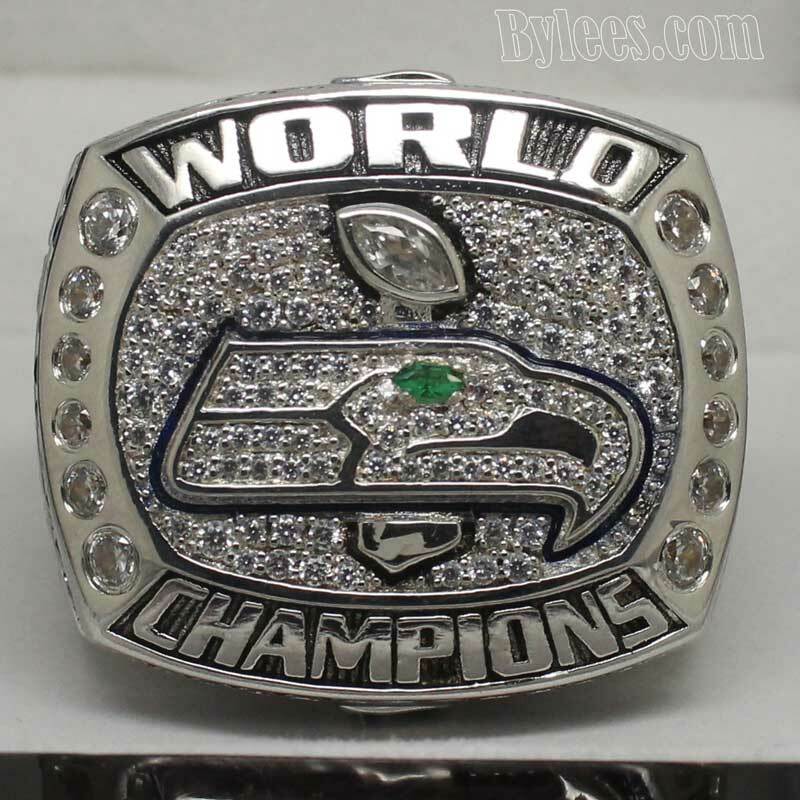 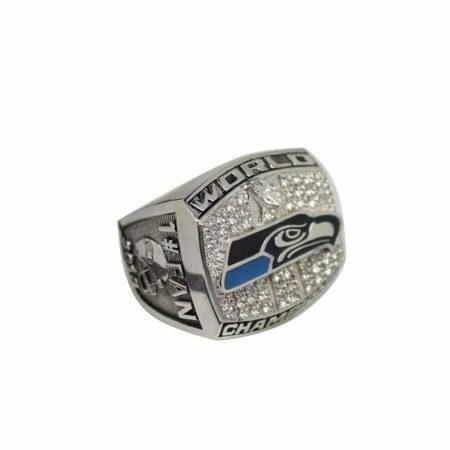 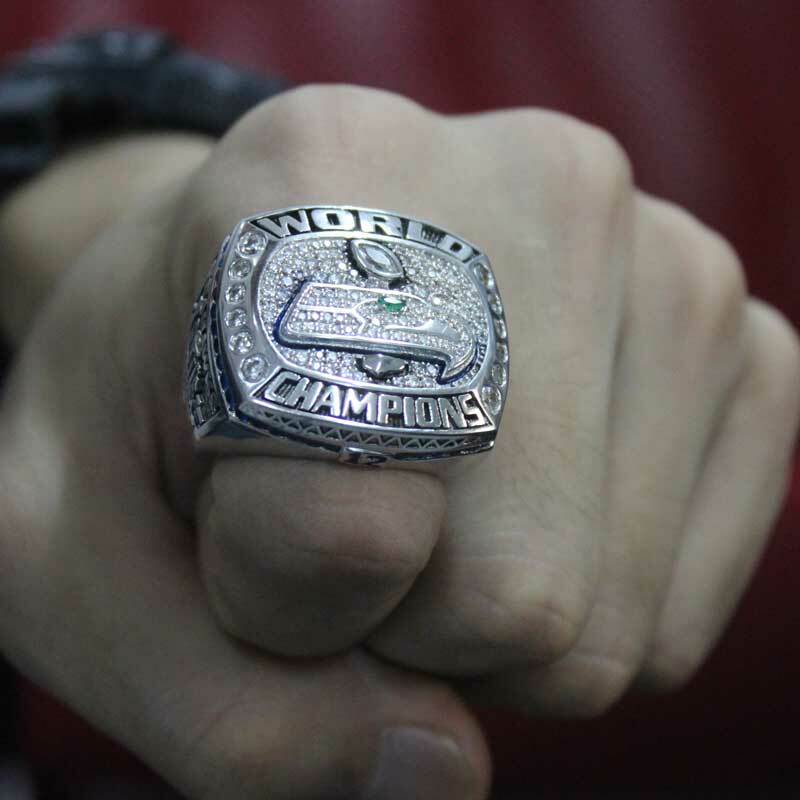 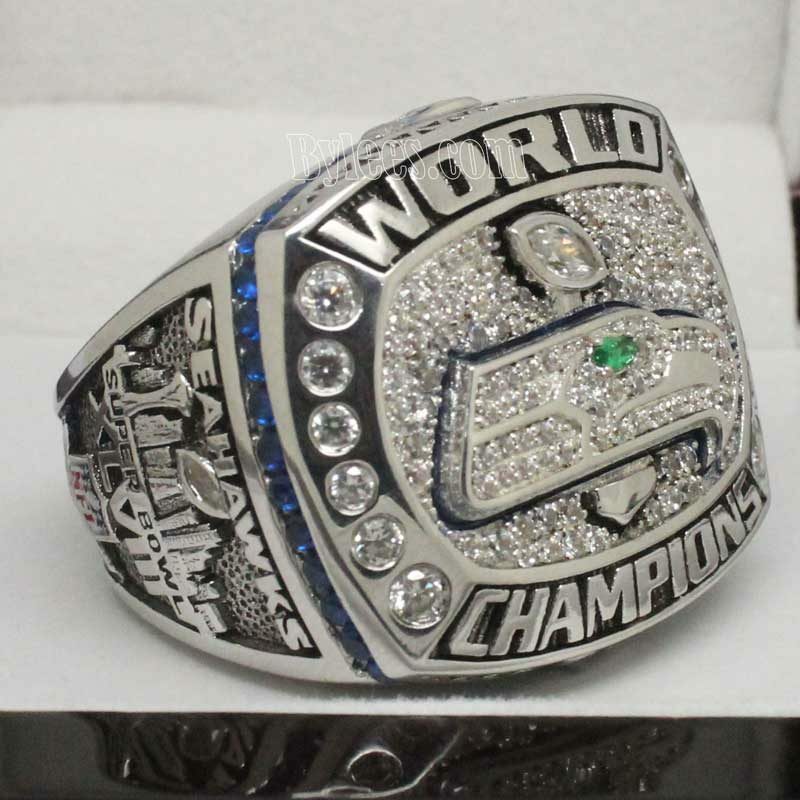 The 2013 Super Bowl XLVII Chmapionship ring is the only and the first Seattle Seahawks super bowl ring in their NFL history. 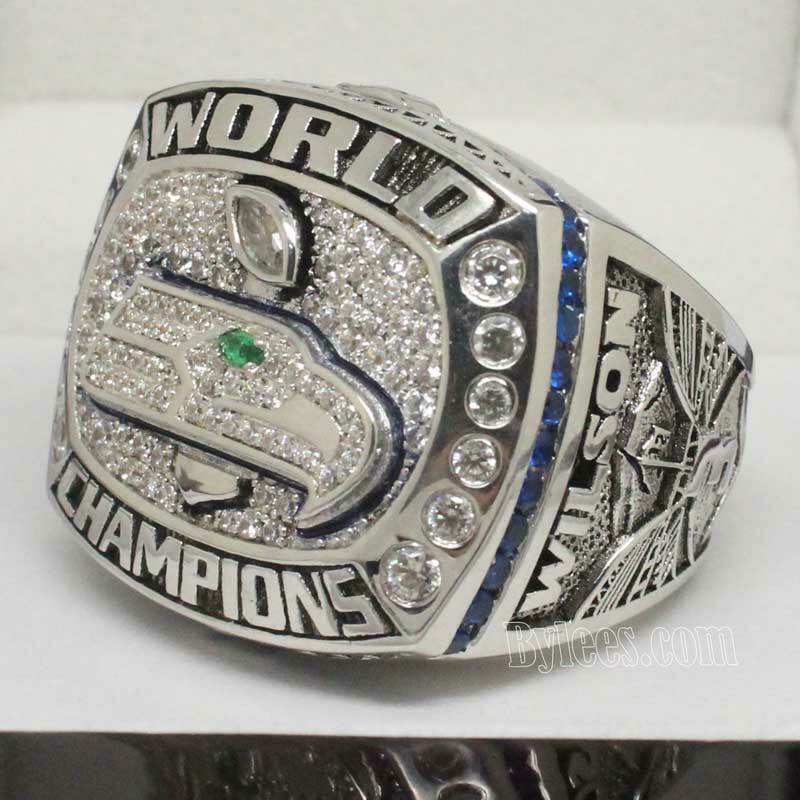 The game was play On February 2, 2014, the Seahawks defeating Denver by score 43-8 and won the Super Bowl XLVII ring. 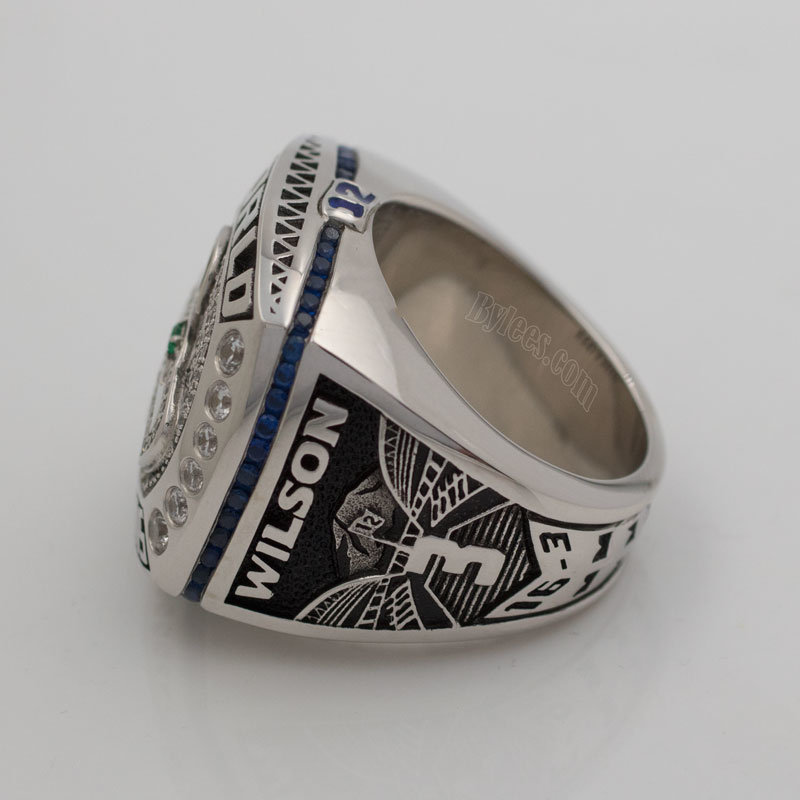 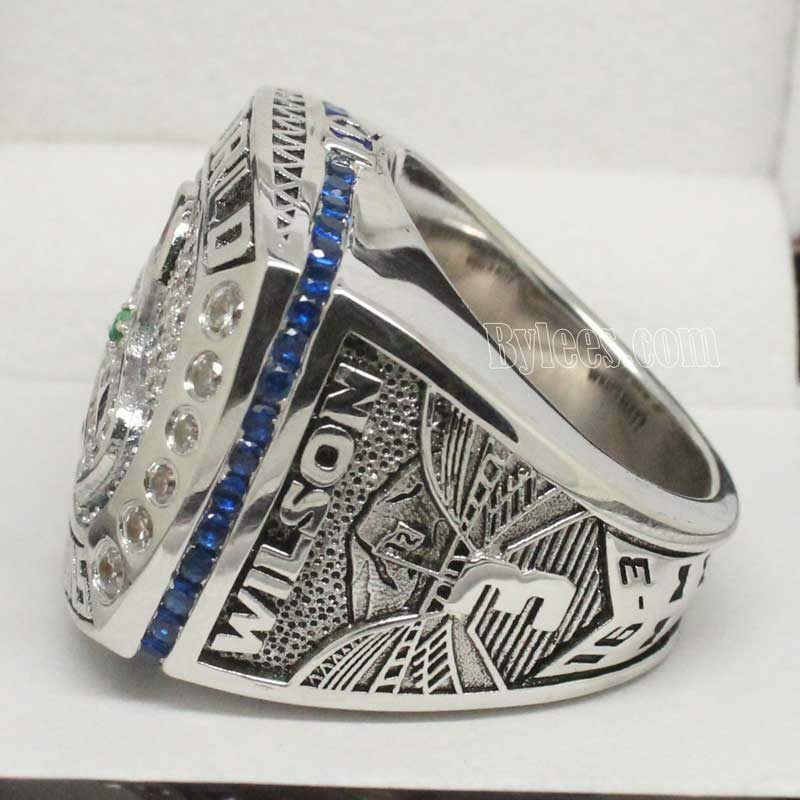 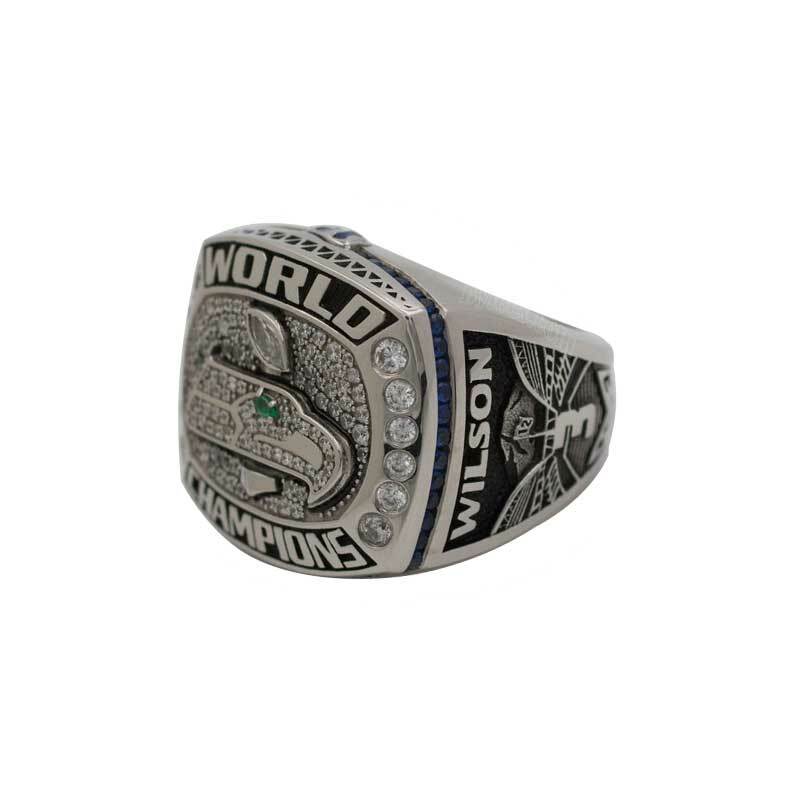 The version here is Quarterback Russell Wilson 2013 Super bowl XLVII championship ring. 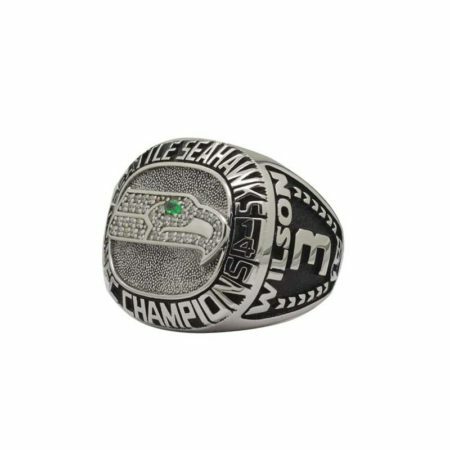 he and center Max Unger, running back Marshawn Lynch, cornerback Richard Sherman, free safety Earl Thomas, and strong safety Kam Chancellor was named to the pro bowl and The Seahawks’ defense performance in 2013 was acclaimed as one of the best in the Super Bowl era.